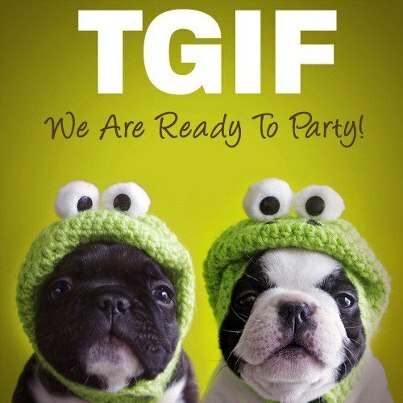 Thank God its Friday, and making the most of where we live! I am a naughty mummy. I am completely and disgracefully guity of…..taking for granted the beauty to which I live. Right now I am sitting here at Gloria Jeans enjoying the outdoors, enjoying the view, watching the people wander by! I wander how many of these strangers, in their different levels of attire live their lives here on the Coast, or are they visitors from other areas? I wander how many live on the coast here, and how many take it for granted? Like me? I actually feel bad that I don’t make it a priority to enjoy the Sunshine Coast as much as I possibly can – I even feel a little mad at myself for being so complacent about living in such a beautiful spot and not availing myself of it. Every time I am on the beach looking at the ocean I find myself scolding myself. Seriously what is wrong with me that I would not make seeing this and experiencing this awesome surroundings more of a priority? I must have rocks in my head? Oops now I know that I am not exactly the size I want to be….but seriously, that lady over to the right of me – should not be here at Gloria’s in that bikini! Just a bikini! That my dear is taking relaxing – to a whole new level! I feel for her as she is getting funny looks from lots of different people – I am sure there must be some type of dress code here? Yes/no? um, Maybe not!? 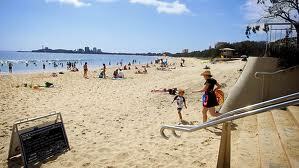 In the days of my youth I hung out at Mooloolaba all the time. I loved Mooloolaba, we even got married down here at Mooloolaba. What happened to me? What happened to us! I think its the …we had kids, that happened to us – which in turn has restricted free time and income. However there is no excuse to not use the beach. Seriously – I am not buying that excuse…..but I will say that when one was pregnant – one was worried that one may be confused with a beached whale and one could be pushed back into the ocean – so in some ways it was a difficult place to go with 3 kids when one was pregnant. Now that we are on the other side of having babies and pregnancy – never again – thank God! I am declaring an upgrade of my current lifestyle to one of more fun, and a being a little more carefree. Obviously there are absolutes in life – like school, work, housework, and bills – but there is no reason why we can’t have fun around these things. My problem is that I allow the absolutes to dictate life and I forget to have fun. What a crime! Shame on me! At the end of the day, life and family and friends matter – the laundry will always need cleaning, hanging, folding and putting away. Its one of those recurring jobs that does not stop coming. As one load goes out on the line, another one is starting. I am discovering that I may as well go out and have fun with the kids and come home and do what I can when I can. It doesn’t really matter if I don’t get everything done as it will all be there for me when I get to it. I think I am going to have to resign myself to the fact that my idea of wanting a ‘display’ home clean home all the time, is not a reality, so I’ll just have to learn to relax and enjoy reading a book or working/writing in a reasonably clean home instead. Maybe one day the kids will be more reliable with the job doing….and we will all have a easier life with regard to getting jobs around the house done so that we can all have more fun and have the ability to relax at home in a clean home. Or of course, they can move out and learn how to live with other people when they are older and see if my requests were in fact reasonable? It shall be interesting to see? I found this picture on pinterest and thought it was quite right on the mark with regard to how I feel my life is at the moment. I have realised that a housewife never has the worry that her job will be made redundent. A housekeeper is always in need. Sadly, there are always going to be jobs – but one (ME) has to have fun within the workload. Note to self: Even superheros need a holiday! ← Looking for some good luck – anyone seen it?